Did you know, nearly 2.2 million people in the United States are affected by glaucoma? * Due to the lack of symptoms in the early stages of glaucoma, almost half of Americans with glaucoma do not know they have it; causing glaucoma to be the second leading cause of blindness in the United States and worldwide. Glaucoma is an eye condition that damages the optic nerve in the eye and, if left untreated, can result in blindness. High pressure within the eye causes damage to the optic nerve and prevents the nerve from sending messages from the eye to the brain. 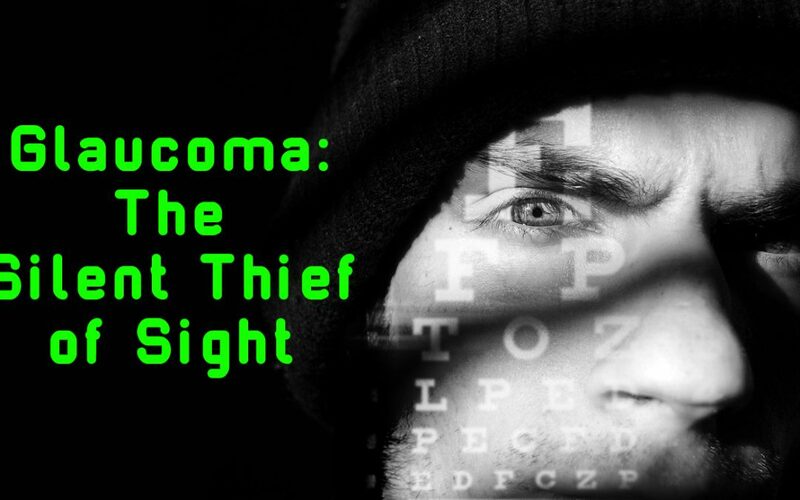 Typically, there are no symptoms or pain associated with glaucoma until severe vision loss has occurred; at which point vision loss is permanent and cannot be reversed. The degree of vision loss differs from each individual. According to the Glaucoma Research Foundation, African Americans are three times more likely to be affected by glaucoma, and six times more likely to suffer from blindness as a result of glaucoma. Hispanics and Latinos have the second highest risk for glaucoma. Those with a family history of glaucoma and diabetes are also at a higher risk. In order to help with early detection and to prevent irreversible vision loss, be sure to notify your eye doctor if glaucoma runs in your family or if you have diabetes. Primary open-angle glaucoma: Primary open-angle glaucoma causes peripheral vision to gradually reduce without any other symptoms. If not controlled or discovered, it can progress to tunnel vision and ultimately lead to blindness. Acute angle-closure glaucoma: Acute angle-closure glaucoma, also called narrow-angle glaucoma, produces a variety of sudden symptoms such as eye pain, headache, halos, dilated pupils, vision loss, nausea, and vomiting. Each onset of new symptoms causes additional vision loss. Normal tension glaucoma: Normal tension glaucoma occurs in patients with a normal pressure within their eye and typically has no symptoms associated until tunnel vision occurs. Skip the paperwork and fill out your patient information forms before your appointment! Download the necessary forms below, print and fill them out with the required information.Email or fax a copy of the completed forms or bring them to your next appointment.